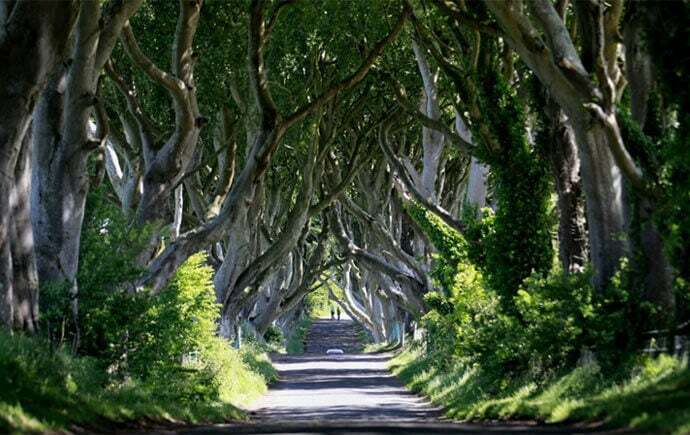 Northern Ireland has gained throngs of new tourists due to the Game of Thrones phenomenon, with many of the hit show’s locations filmed around the area. Most notably ‘Winterfell’ at Castle Ward in County Down and The Iron Islands at the picturesque Ballintoy Harbour, County Antrim. Other locations in the North West include Melisandre’s cave, Renly’s Camp and the fantastically eerie yet beautiful Dark Hedges. These can all by easily accessed by organised tours with www.gameofthronestours.com or at your leisure. Aside from the hit TV show, Northern Ireland is literally festooned with attractions across its six counties including the wonderfully majestic Giants Causeway and Causeway coastal route with its rugged scenery and spectacular beaches to the historic walled City of Derry / Londonderry. Elsewhere, the Ulster American Folk Park in Omagh with its captivating insight into the Irish / American migration of the 18th and 19th Century and Clear Sky Adventure Centre in Downpatrick with its many outdoor pursuits offer excellent value days out. 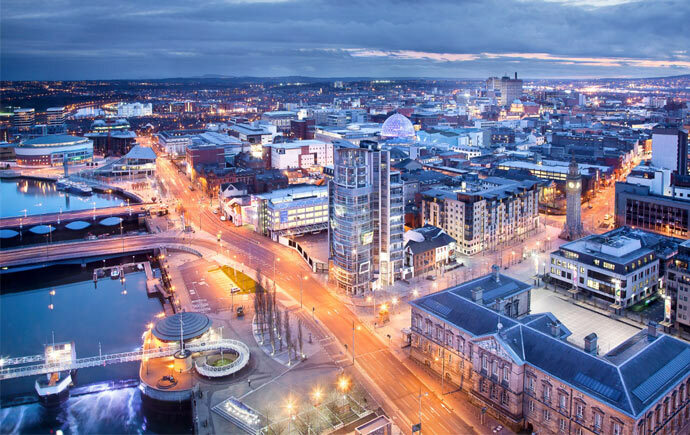 Northern Ireland’s capital Belfast with its rich but somewhat chequered history has grown into a very popular and cosmopolitan destination for city breaks over the last decade and rightly so. The city is buzzing with a vast array of pubs, clubs and bars that range from the traditional to the chic and modern. The city has also seen itself grow into a veritable foodie hub with many notable chefs plying their trade in Belfast. With spectacular attractions Titanic Belfast, the Ulster Museum, The SS Nomadic and Crumlin Road Gaol the city has breathed new life into itself as a real cultural hots spot. Luckily for us it’s only a short Journey away and if you are embarking on a driving tour there is no better way to start your trip than on one of the Stena Line’s fleet of modern and spacious ships. With crossings in the UK from Holyhead, Liverpool, Cairnryan and Fishguard to Dublin, Belfast or Rosslare, navigating a tour of Ireland couldn’t be simpler. With cosy cabins, free Wi-Fi throughout, a free cinema with the latest films, on board shopping and an excellent range of food and drink served in the Metropolitan Bar and Grill our three hour crossing from Holyhead to Dublin went in a flash and was thoroughly enjoyable over very calm seas. Stena line also offers a pet friendly service which allows your furry friend to stay in either your own vehicle or in specially provided kennels for extra peace of mind on your journey. For further information on great Stena Line travel deals visit www.stenaline.co.uk or call 08447 707070.